Every person is looking for that perfect neighborhood when it comes time to start a family. People look for a house with a few rooms for the children who will eventually fill them, a yard for the kids and dog to play in, and a place with more than one bathroom for those busy work and school mornings. Denver has many neighborhoods that cater to this ideal for parents and potential parents. 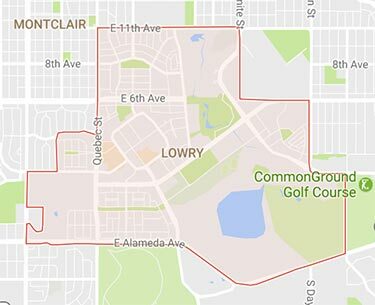 One such neighborhood that can be found in the City and County of Denver is a great area called Lowry. 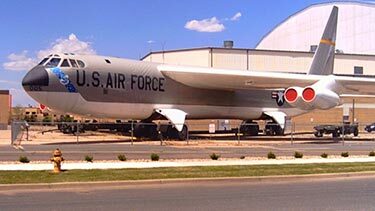 The area carries a rich history as the site of the former Lowry Air Force Base. For 57 years, military veterans acquired skills to sustain Air Force operations though World War II, the Korean War, the Cold War, and Vietnam. If you go and visit you can see part of the base with the motto Sustineo Alas (I Sustain the Wings) on one of the remaining historical buildings in Lowry. Lowry became a well-known neighborhood back in the 1950’s when President Dwight Eisenhower and his wife Mamie Doud bought a house there, which was dubbed the Summer White House. Since then, Lowry has grown from an Air Force Base to a large neighborhood with shopping, schools, parks, public art, and plenty of housing. If you are looking for a neighborhood that is easily accessible to all of Denver without being in the hubbub of downtown, Lowry is a great area to look in. Bounded by 11th, Alameda, Yosemite, and Monaco Parkway, Lowry is a well-planned neighborhood that offers many positive qualities to all who live there. There is no time like the present to think about the future and that includes looking for a home to call your own. Maybe you and your significant other have decided it is time to expand the family and are trying to find a good neighborhood and a good agent to help make the process easy and enjoyable. Give one of our highly trained real estate agents a call today and let us take you around Lowry to paint a picture of what life could be like for you and your new family additions.